The Chase Trifecta is a 3-card system that helps you maximize the number of points you can earn with everyday spend. If your goal is to optimize points for travel, then this is the card system for you. The 3-card system consists of the Chase Freedom Unlimited, Chase Freedom, and the Chase Sapphire Preferred or the Chase Sapphire Reserve. Transfer all the UR points to the Chase Sapphire Reserve (1.5x) or the Chase Sapphire Preferred (1.25x) when you’re ready to redeem for travel. When I first heard about this tried and true method I was a bit confused. I’d acquire other cards and was just under Chase 5/24. If you’re new to the points game you will want to apply for these cards first to ensure you are under 5/24 and use them as a solid base for your future point collecting. Use the cards as follows to optmize the amount of points you recieve. Earn 1.5x points on all purchases with the Chase Freedom Unlimited. 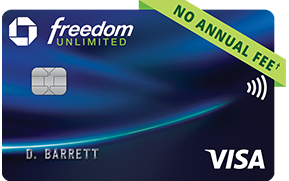 For all non-category spend where you don’t earn more than 2-3x points, the Freedom Unlimited should be your default card. Activate each quarter to earn 5x cash back on up to $1,500 in combined purchases in that quarter’s bonus categories. Important: Don’t spend more than you usually would just to maximize each quarter. You’re not really getting ahead if you’re incurring more expenses for 5x cash back. Use either the Chase Sapphire Reserve or Preferred as the choice premium card that allows you to pool the points from Freedom and Freedom Unlimited cards. Choosing whether the CSR or CSP is best for your situation and makes the most sense in your long term points goals. Stick with a 2-card system to earn maximum cash back on everyday spending with the Chase Freedom Unlimited and the Chase Freedom. Rules to know when applying for an American Express	Are Annual Fees Worth It?